Own a Hyundai and have engine problems? Then you’ve come to the right place! When your Hyundai engine breaks down or has rod knock sound it's frustrating. As damaged car experts we understand that. Most of the time fixing or replacing an engine is prohibitively expensive, so we made this guide on Hyundai engines, and the engine problems they experience. The Hyundai 2.4 engine is the most widely used name. The official name is the Theta or Theta-II Engine. If you have a Hyundai from 2006 or later than there is a solid chance you have this engine running your car. There a few issues that may arise with your modern automobile propelling device. Especially since the vehicle recall of 2015 for Hyundai and Kia. The problems, that we’ve come to find out, is that during the manufacturing of the engines, metal shavings would get left inside the crankshaft oil passages. Also, some crankpins have a chance of being too rough around the edges. This caused oil to be blocked and would cause some rod bearings to wear down. As a result, the whole engine would stall mid-ride. Luckily, no injuries have been reported since the recall. However, if you have a different engine that has failed recently, you can sell a car with a blown engine pretty easily. The less powerful Hyundai 2.0t, when released, was renowned for its cheaper maintenance and fuel efficiency. But, like any engine, problems can arise. A common issue with this engine is a blown head gasket, which is essentially a leak caused by the compression in the cylinder. Replacing a head gasket for this engine will, at a minimum, cost about $900, depending on the labor costs of your mechanic. The oil pump can also have issues and a bad oil pump loses the ability to pump oil through the vehicle’s system which can lead to further damages to the car. A replacement for an oil pump on the 2.0t runs from $700 all the way to $1000. The radiator hose is a common cause for the overheating of the engine. This is typically caused by high heat and pressure which they endure for years. On this specific Hyundai engine, a replacement for the radiator hose can cost you around $150. All this money starts to add up over time! If you suspect even a small problem with your engine, it's best to get an engine diagnosis of any problems to catch the engine issue early. The 3.3 v6 engine has many variants. This six-cylinder engine was designed to fit well with the transverse front-wheel-drive layout. First produced in 2006, this engine’s cylinders are made of aluminum. It also is known for its high oil consumption which, in turn, can cause a lot of problems. It’s a classic give-and-take situation with this one. It’s recommended to change oil with this engine more often due to it’s higher mileage. Problems can also arise with the piston rings. If your piston rings seize up then there is next to nothing you can do about outside of extensive engine repair. There is always the option for a straight up engine replacement after engine failure but that would cost a pretty penny. It might be more cost effective just to sell your blown engine car. This engine was designed with four cylinders. It’s the smallest Hyundai engine to use Gasoline Direct Injection or GDI. Known for its higher reliability, lower emissions, and a highway fuel economy of 40 mpg, the Gamma 1.6 Liter GDI delivers a power peak out of 138 horsepower. GDI engines typically offer flexibility with the engine design. Another pro is the long-term lifespan often seen with GDI engines. However, sometimes problems arise with Gasoline Direct Injection engines. For example, a high strain on each piece of the fuel delivery chain can occur. Not a problem for newer engines but when it passes around 50,000 miles the wear-and-tear can start to show. This problem even caused a few fuel pump recalls to happen. And without proper maintenance over a period of time you could even experience some unusual engine noises. So What to Do if You Have a Problem with a Hyundai Engine? Well, you can always try and pay the costs to repair the engine but that may not always be the optimal choice. You can also try to find the right price with a private buyer but that could take weeks to get any offer at all. CarBrain was founded on the idea of getting together a network of damaged car buyers and giving customers the best deals possible from local car buyers. Rather than dealing with a car with a cracked engine block, you can simply sell it for a decent value. Using Your Brain and Your Car...to Make Some Extra Cash! CarBrain is a leader in the market for less than perfect cars. Our car evaluators have been working since 2007 to become top experts in their field. 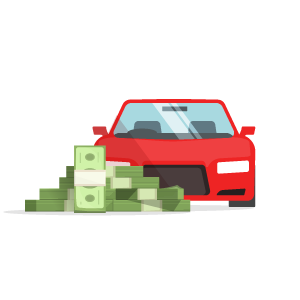 With over 1 million deals made, we have the knowledge, experience, and speed to get money for your car in your pocket quickly and efficiently. And if you are curious about more blown engine issues for other makes or models, you can check out our in-depth blown engine guide page here. How Does CarBrain Work when Buying Your Car? The first step you want to take to use our online car removal service is to fill out the online form with basic information such as year, model, and make of the car. Typically, you will get a quote almost instantly after submitting the form. Then, you will be contacted by one of our car evaluators to hash out some more details about your vehicle. Once that’s finished, you will be given a guaranteed offer tailored to your specific vehicle. If you accept, then we can move forward and schedule a pickup date, usually within 24-48 hours. Sell Your Blown Engine Car with No Hassle and No Haggle! Whatever amount we agreed to is the exact amount of money you will receive. Any tow-truck driver we send will never try to haggle down the offer, guaranteed! We don’t want you to feel uncomfortable with a deal we make so if you don’t accept the offer, we won’t bother you about it. Plus, if you decide to change your mind, then we will still be here with an offer for your car. Oh, and our service doesn’t cost you a penny. From the quote to the car pickup, it costs absolutely nothing! So what’s there to lose? Get a quote, today!